Why we should call Okinawa Island as the World's Healthiest places? Well the fact are the island has about 457 people over 100 years old the average life expectancy of an Okinawan woman is 86, and man’s is 78. Not only do they live long lives, they live very healthy and happy ones too. A fine example is 96-year-old martial artist Seikichi Uehara, who, at his age, defeated a thirty-something ex-boxing champion. And also Nabi Kinjo, the 105-year-old woman who hunted down a poisonous snake and killed it with a fly swatter. What is the secret of their healthy life? The main secret for the high life expectancy on Okinawa island is their food, and their attitude towards life. Their regular diet is not based on red meat, but largely on rice, fish and vegetables. One of their popular dishes, Mimiga, is made from pig ears – low in fat and high in calcium. They also eat plenty of tofu, and vegetables such as bitter gourd (Goiya) and sweet potato are a staple. The Okinawan sweet potato is especially nutritious – one medium sized baked potato is said to contain over 20,000 IU of beta carotene and Vitamin A. Sounds like an incredibly healthy diet but some of them do indulge in a cup full of a locally brewed rice wine called Awamori, each night. 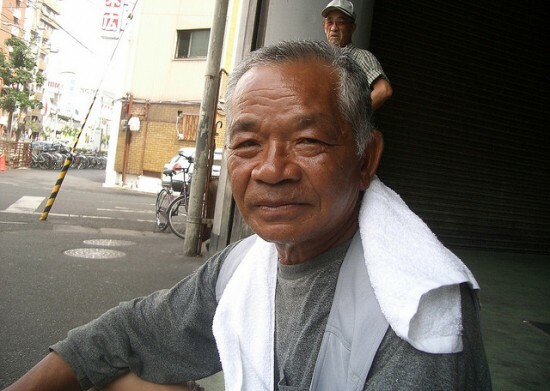 Most of over-85-years-old elderly I’ve ever met seem to be waiting to die, sick of dealing with their physical pains and of struggling to survive on small pensions, but not the Okinawans. They have a child-like zeal towards life, wanting to live more. Even a 100-year-old woman says she would like to live a few more years to spend with her grandchildren. As the old Okinawan saying goes, “At 70 you are still a child, at 80 a young man or woman. And if at 90 someone from Heaven invites you over, tell him: ‘Just go away, and come back when I am 100.’” I think that perfectly illustrates their philosophy on life. So do you want to try their secrets of their healthy life to increase your life expectancy? Watch the video about how the elderly on Okinawa Island spend their happy and healthy life.